Have you ever felt addicted to a book, so that you didn't want to stop reading? Would you like to make your own fiction that addictive? write stories that hook your readers and keep them turning pages. give your readers strong reasons to care about your character and your story. use a wide range of techniques to build curiosity, tension, suspense, and excitement. Learn how to use conflict and mini-conflicts to hold the reader's interest on every page of your story. If you can make readers root for your main character, it's easy to get them hooked on your story. Find out how to create a sympathetic protagonist that readers will love, and how to add excitement with a powerful antagonist. Learn how to raise your story stakes and build tension as the story progresses. Increase suspense in your story by keeping the reader off-balance. Learn how to use techniques such as foreshadowing, twists and surprises, plants and reveals, and atmospheric settings. Control over pacing is key to making your fiction exciting. Learn how and when to speed your story up or slow it down. The beginning of your story is when readers decide whether to keep reading or to put your story down. Write beginnings that hook readers right away and make them hungry for more. Build suspense and anticipation by planting questions in the reader's mind. Learn how to use cliffhangers to make your manuscript even more addictive. Discover strategies that will help you get the most out of exciting scenes, while weaving background information and description seamlessly into your story. Irresistible Fiction is taught by Nancy Strauss, the Online Courses Director at Creative Writing Now. Nancy has an M.F.A. in Creative Writing from the University of Michigan, where she has also taught creative and expository writing. *Note: Please note that feedback on your writing assignments is not included in this course, which has been designed for self-study. While teachers will be available to answer general questions, they will not be able to read or comment on your fiction. 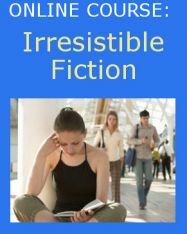 Irresistible Fiction - Includes 8 e-mail lessons, weekly assignments, the chance to publish on the course blog, and the chance to ask a teacher general questions. Feedback on assignments is currently not available for this course. A: No problem! If you change your mind, just ask us for a refund. You can send us an e-mail any time during the first 20 days (or before a teacher starts preparing feedback on your assignment if you've purchased the Feedback Pack), and just tell us you've changed your mind, then we'll refund 100% of your payment. No hassle; no hard feelings. So you actually have nothing to lose by signing up for the course now. P.S. Still not sure? Give it a test run. Sign up for the basic version (without the Feedback Pack) and see what you think. You have 20 days to decide if it's for you or ask for a refund.